When it comes to varicose it’s okay to be a little vain. Most commonly affecting the veins of the legs and feet, varicose veins are raised, swollen, gnarled veins that often have a purple or dark blue hue. It is estimated that some 30 million Americans have varicose veins making it an unfortunately common issue. What’s more, varicose veins aren’t merely an eye sore. They pose some real health risks as well, including pain, swelling, inflammation of the veins and even blood clots. Spider veins (also called telangiectasis) are minor variants to varicose veins. They get their name because the broken blood vessels that make up spider veins look like spider legs. There are many risk factors associated with the development of varicose veins; age serving as a primary risk factor. As we age, our veins lose elasticity which causes them to stretch, weakening and loosening the valves preventing blood from flowing backwards. Varicose veins most often occur in the legs and feet because it is there that blood flow is working hardest against gravity to circulate blood back to the lungs. As we age and the veins weaken, gravity begins to win the battle and deoxygenated blood begins to pool in the veins, causing them to become enlarged and disfigured. Tthe blue appearance is the result of the fact that the blood is deoxygenated. Gender: Women are more likely than men to develop varicose veins because their hormonal changes (pregnancy, menopause) can cause the walls of the veins to relax, leading to the aforementioned pooling of blood. Pregnancy: Pregnant women have an increased blood volume which changes the balance of circulation (especially between the lower legs and abdomen). This change is normal and helps to support the growth and development of the fetus, but it can often cause varicose veins to develop in the legs. Family History: Those with a family history of varicose veins are more likely to develop them. Sedentary Living: Inactive lifestyles affect blood flow which in turn can increase the likelihood of varicose veins. Obesity: As with many health conditions, obesity is an added risk factor. Increased weight stresses the veins which can speed up the weakening of the walls and result in early-onset varicose veins. If you experience any of these symptoms or are otherwise at increased risk for varicose veins, you should speak with a doctor. Varicose veins can lead to ulcers forming on the skin surrounding them, blood clots or even bleeding if a surface varicose vein bursts. Varicose Vein Treatments – What are your Options? Fortunately there’s good news for people with varicose veins… there are a variety of non-invasive outpatient treatments available to correct the issue. It’s only the most severe of varicose vein cases that require the more invasive treatments of old like vein stripping and ligation. Foam Sclerotherapy: A newer method based on the same general principle, a foam solution is injected rather than the traditional solution. Laser Vein Surgery: High-frequency radio-wave energy is used to heat and close varicose veins. Performed under local anesthesia, the treatment has no downtime meaning that patients can walk immediately after the procedure. No incisions are required. Stripping and Ligation: Although this is an older approach to treatment, it is still used for more severe cases of varicose veins. The procedure involves the removal of tied-off veins through a series of small incisions. There is some downtown associated with stripping and ligation which typically requires two to four weeks of recovery. Ambulatory Phlebectomy: This procedure targets smaller varicose veins closest to the surface for removal. Tiny skin punctures are made through which to extract the veins. Beyond these treatment measure, there are additional methods through which to counter the development of varicose veins. Managing your weight and exercising (especially those with increased risk factors) is the best way to avoid varicose veins from developing. Staying active will help you to avoid the prolonged periods of inactivity that are a breeding ground for varicose veins. In addition, the use of compression socks or stockings can help aid blood flow in your legs, improving circulation that has otherwise been affected by age or other risk factors. 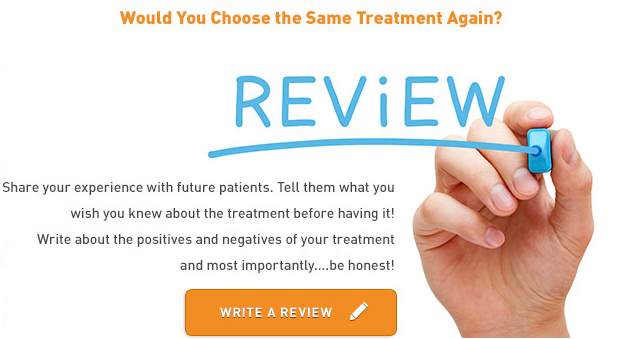 Your doctor will speak with you about all your treatment options during your consultation. As is the case with a great many medical treatments, it is difficult to estimate the cost range because of the number of variables in play. The cost of varicose vein treatment depends entirely on the type of treatment you require, the number of veins being treated, and any other underlying health concerns that must be taken into consideration. For example, the cost of vein stripping and ligation can range from $1,500 up to $3,000 per treatment. On the other hand, laser vein surgery like endogenous laser ablation may cost upwards of $5,000. Sclerotherapy may only cost $500 to $650 per treatment. Keep in mind that the cost of treatment can also be impacted based on where you have the procedure. The only way to get a true sense of what varicose vein treatment is going to cost you is to speak with a doctor.